Two Way Radio Blog – techwholesale.com » Motorola RDX Series Walkie-Talkies: Which model is right for you? Motorola RDX Series Walkie-Talkies: Which model is right for you? Motorola, the first name in rugged, ready to rumble two-way radios presents their roughest and toughest yet: The Motorola RDX series. Your business puts a beat down on equipment. You run a wet, dirty construction site, farm or campground. You operate a busy warehouse, manufacturing plant, hotel, restaurant, hospital or retail store. You’re an independent contractor with employees and assistants working jobs of all stripes and sizes in plumbing, photography, catering, electricity, insert-your-business-here. To get the job done, you work hard. You need a walkie-talkie that can take it and keep up. Motorola’s RDX series two-way radios do all that and more. The RDX walkie-talkie runs on a metal die-cast chassis housed in a polycarbonate overmold. Made to military specifications 810 C, D, E, F and IP 54/55 for moisture, shock, vibration, dust and temperature extremes as high as 140F and lows of -22F — how shall we put this delicately — this walkie-talkie works under conditions that will kill you. Not only are they built to last, Motorola RDX two-way radios are finely tuned for high performance with a speaker output that boasts 2000 milli-watts of power. Whether it’s the loud environment of a high volume production floor or your business’ high-energy event, your messages come through loud and clear. Always ahead of the curve in Radio Frequency technology, the Motorola RDX two-way radio brings the latest in RF specifications plus enhanced noise and magnetic field interruption reduction to your business transmissions. Techwholesale.com offers the Motorola RDX series walkie-talkie in both the UHF and VHF bands, in a variety of models with just the right set of features at the right price for your business’ budget. When you use a Motorola two-way radio, you don’t pay cell phone bills. You don’t sweat minutes, contracts or roaming. You invest once and the pay off continues for years. Motorola’s RDX walkie-talkies transmit and receive a clear, strong signal across a broad range of terrains and weather conditions. All RDX models feature both digital and analogue privacy/interference elimination codes that serve to keep your conversations uncrowded and confidential. Not just hearty and high performance, Motorola RDX series two-way radios are dead easy to use too. Advanced Voice Activation (VOX) lets you use your radio without using your hands. Just talk in the direction of your mic and the VOX technology senses your intention to transmit and delivers your message (requires accessories, sold separately). Several models feature a programmable front panel with a back-lit display. All RDX walkie-talkies come compatible with free for download, Customer Programming Software (CPS) that allows consumers to program their radio’s features and frequencies using their own PC. With CPS, you don’t have to rely on a dealer to configure your RDX two-way radios. Of course, here at Techwholesale.com we’re always here to help! CPS software adds even more usability to your RDX walkie-talkie! Packed full of features, CPS gives you access to business savvy functionality like Power Select to conserve battery, Manager Lock, PL/DL Defeat, Radio Reporting for profiles and cloning settings and Reverse Burst (to eliminate unwanted noise). Add in two time-out timers, three audible alert tones, autoscan, scan list, accessory and radio mic gain, battery save and scan channel delete and you’re looking at a full-featured, business ready radio. The RDX series offers radios that work on either the UHF or VHF band. You can tell which is which by the model number: RDU is UHF, RDV for VHF. Because the Motorola RDX series handheld radios broadcast and receive on frequencies set aside for the business community, 438-470MHz for UHF and 146-174 for VHF, an FCC business license is required to use them. 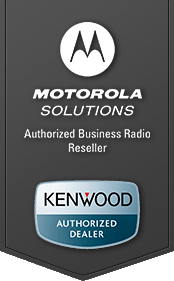 Motorola’s RDX series two-way radios are compatible with Motorola XTN, CLS or Spirit radios. Now that we’ve gone over a bit of what’s the same across the Motorola RDX series. Let’s take a look at the individual models Techwholesale.com offers and what sets them apart one from the other. The RDU 2020 is a sweet little handheld radio. It works on the UHF band, which is the right choice if you’re working inside, inside and outside, or you’re looking to match up with other UHF walkie-talkies you have in service. The RDU 2020 uses 2-Watts of power to broadcast and receive transmissions on its 2 channels. You’ll be able to communicate across 250,000 square feet or up to 20 floors using 89 business exclusive frequencies from 450-470MHz. To help you and your employees access a clear and uncrowded channel, the RDU 2020 provides 122 interference elimination codes (sometimes called privacy codes) that include 83 digital and 39 analogue codes. It ships with a standard issue battery, the RLN6352 lithium-ion battery, which lasts 12 hours on one full charge. An upgrade to the RLN6308 Ultra-Capacity lithium-ion battery will bring you 26 hours on a full charge when used with one of the 2-Watt model walkie-talkies. The RDU 2080d is basically an RDU 2020, but with a front panel programmable, back-lit display and 8 channels instead of 2. The RDU 2080d provides 2-Watts of power, 8 channels, 89 business exclusive frequencies between 450-470MHz on the UHF band and offers 122 interference elimination codes (83 digital, 39 analogue). Coverage extends as far and wide as 250,000 square feet and up to 20 floors! The programmable front panel display adds a little extra ease in usability, if you need to tweak on the fly and like to see things on a display. It comes standard with the RLN 6352 lithium-ion battery that provides 12 hours usage on one charge. Upgrade to the RLN 6308, Ultra-Capacity battery for 26 hours on one charge when used with a 2-Watt model walkie-talkie. Businesses with more groups of employees engaged in different, unrelated tasks should look to the 2080d for the 8 channel capacity to separate out communications into individual channels. Say, if you’re running a restaurant, you’d put the wait staff on one channel, the bus staff on another, cooks on their own, valets on theirs, seating staff, prep cooks etc.. and have the manager on duty scan them all to trouble-shoot anything that goes down. Vet clinics, medical and dental offices, videographers, retailers, warehouses all love the 2080d for its broad reach, channel separation and low power usage. The RDV2020 is Motorola’s 2020 for businesses who run their radios mostly outdoors. VHF waves are longer and stay close to the ground, so they travel farther outdoors and are best for penetrating forested areas; the flatter the terrain, all the better. The RDV 2020 uses 2-Watts of power to operate its two-channels across 27 business exclusive VHF frequencies, 150.8 – 160MHz. 122 interference elimination codes with 83 digital and 39 analogue codes serve to bring you clear and unfettered communication. The RDV 2020 handheld radio provides a range of 220,000 sq. ft and 13 floors. Your RDV2020 will arrive with a standard lithium-ion battery that lasts for 12 hours on a full charge. Upgrade to the Ultra High Capacity battery, RLN 6308, and you’re looking at up to 26 hours on one charge when used with a 2-Watt radio. The RDV 2020 is a great walkie-talkie for small farms, fisherfolk, hunters, car clubbers and anyone who wants to talk about their love of the great outdoors while out in it. Same deal. The RDV2080d is Motorola’s 2080d for businesses that use their handheld radios primarily outside and need the outdoor reach of the long VHF wave. Or, if you’ve already got some VHF band radios you want to replace or add communication compatible radios, then you’ll need to stick with VHF. It’s important to note, VHF radios will not talk to UHF radios. Ever. 2-Watts of power, 8 channel communication and a programmable front panel with back-lit display, make this radio is a keeper. The RDV 2080d operates on 27 business only frequencies and broadcasts across 220,000 sq. ft and up 13 floors. 122 privacy codes comprised of 83 digital and 39 analogue codes work for your clear and confidential communication. Buy it with a standard lithium-ion battery and you get 12 hours of usage from a single charge. Upgrade for 26 hours of potential usage from just that one charge, when used with a 2-Watt walkie-talkie. Outdoorsy types like campground managers and campers, boating enthusiasts, hikers, motorcyclists, paintballers should think about adding an RDV 2080d walkie-talkie to their business or pleasure. The 2-Watt RDX series two-way radios are perfect for small business or recreational users who want an affordable walkie-talkie that doesn’t require or use up a lot of power quickly. They’re simple and easy to use, requiring little training to get up and running. The Motorola RDU4100 is the next step up in the RDX series. A two-way radio with 4-Watts of power pushing 10 channels that operate on UHF band business only frequencies from 438-470MHz, the 4100 gets the job done. 4-Watts gives you extra oomph that pushes your signal 350,000 sq. feet and up to 30 floors high in a building. 213 privacy codes with 84 digital privacy codes, 84 inverted digital privacy codes and 6 customizable privacy codes go that extra mile to protect your conversations and score you a clear channel in a chatty world. Your Motorola RDU4100 comes standard with the Ultra-High Capacity lithium-ion battery to offer you up to 18.5 hours usage on a single charge. The RDU4100 also features a removable, stubby antenna. If you need to transmit over a broader area or you’ve got multiple groups of users who don’t need to be distracted with talk that doesn’t mean anything to them, then you’ll want to consider the 4100 for its 4-Watts of power and ten channels. Many businesses such as manufacturing plants, construction sites, hotels, and warehouses make the 4100’s Push-to-talk button their main squeeze. You might call the Motorola 4160d the Papa Bear of their RDX series walkie-talkies. Each unit offers the functionality of front panel programmability with a back-lit display for ease of use. Packin’ 4-Watts and 16 channels, the 4160d brings a full court press to business radio communication. The Motorola 4160d ships with an Ultra-High Capacity battery for 18.5 hours of potential usage on just one charge. Coverage is thick and spreads over 350,000 sq. ft and up to 30 floors in a building. 213 interference elimination codes (84 digital, 84 inverted digital and 6 customizable codes) work hard to find you a clear spot to talk among its business exclusive frequencies from 438-470MHz. The RDU4160d also comes with a removable, stubby antenna. Heavy-duty two-way radio users like the US Military, large university campuses, businesses that span multiple buildings, hotels and luxury lofts depend on the 4160d for their critical communications. This is the Big Daddy of VHF for the Motorola RDX series: pumpin’ 5-Watts across 10 channels over 300,000 sq. ft and up to 18 floors! The RDV 5100 is your perfect storm when it comes to outdoor business radio communication. 27 business exclusive frequencies from 146-174MHz are yours for the asking, along with 213 privacy codes stacked on 84 digital privacy codes, 84 inverted digital privacy codes and 6 customizable privacy codes. The RDV 5100 comes standard with the Ultra-High Capacity lithium-ion battery that provides up to 18.5 hours usage on a single charge. You’ll find added flexibility in the RDV 5100’s removable, stubby antenna. Business and recreational users who need to communicate over a large area – especially those involved in marine communications – rely on the RDV5100. Broad coverage, outdoor users such as golf courses, large farms, military, boatyards and large outdoor sites know their RDV5100 will carry their signal long range. A Motorola RDX 4100, 4160 and 5100 two-way radio is the powerhouse choice for heavy-hitters. You get powerful multi-channel communication in a flexible, really, really hard to break industrial grade walkie-talkie. The icing on the cake? Order your Motorola RDX series two-way radio from Techwholesale.com and you get FREE shipping!